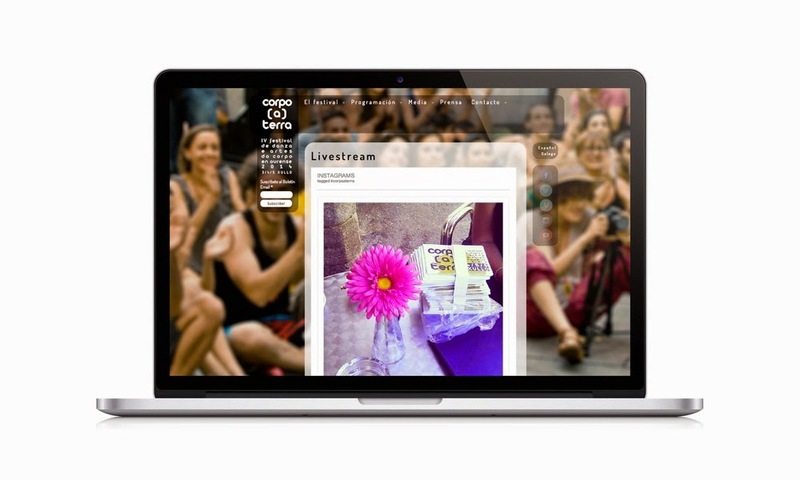 Today I would like to talk about our very good partner, the dance and performance festival corpo(a)terra. 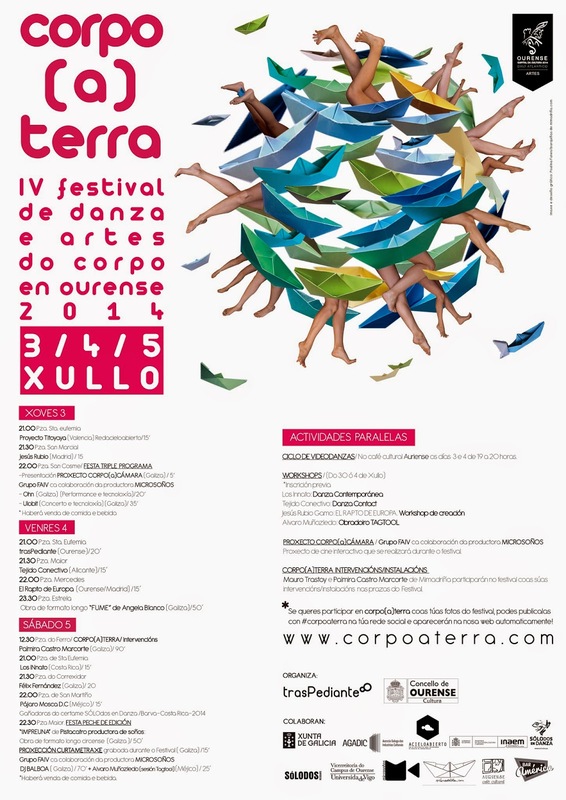 Directed by Begoña Cuquejo and Marta Tejada, corpo(a)terra became the most important performance festival in Galicia - Spain. The festival is held the 3th, 4th and 5th July in Ourense, Galicia. During 3 days artists, dancers and performers from all around the world will show their talent on Ourense streets. I would like to say thank you to all the corpo(a)terra team for the opportunity to go to Galicia and discover this beautiful place and meeting all this very kind people during the conception of the festival's website. Check the video spot we've done for them, and their full program!